Elkins Tri-Steel opened its doors with the goal of providing concrete building materials and rebar in the Fort Worth area. We moved to our present facility and have remained family owned for years and years. This has enabled us to give our customers the products they need and increase our rebar fabrication efforts for concrete, masonry, precast, drilling, and rebar installation contractors throughout Fort Worth, the state of Texas and beyond. Elkins Tri-Steel offers the highest quality rebar products and the most competitive pricing of any rebar fabricator. Don’t settle for the “too big to care” fabricators owned by the mills, Elkins Tri-Steel is one of the few independent fabricators in Texas with the ability to supply rebar and preassembled rebar (cages) throughout the surrounding states. We also use a fleet of tractor trailers to deliver your products. Not sure what rebar supplies you need? 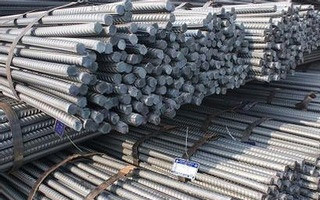 Give us a call and we'll help you determine if stock rebar, fabricated rebar, or pre-assembled rebar products best suits your budget and time constraints. Rebar installation can be costly, let us help you determine the best option.